I read this book because it was highly recommended by someone I am close to. The story-line is about a man named Jordan who takes a position at a university in Germany that pays extremely well, which will enable him to pay off a rather large debt. His wife Susan, son, and daughter are all dead set against moving to a foreign country, but Jordan drags them there anyway. Nothing goes right. They have a terrible time finding housing, their plans to home-school their daughter are cancelled because it turns out to be illegal there, they have a hard time finding a church that they feel at home in, and Susan is lonely and depressed. Their son finds a nice girlfriend, but even that turns out badly when a gang of Jamaican drug dealers slits their son’s throat and gang-rapes the girlfriend. The rest of the book is mostly Jordan in a rage, vowing vengeance and trying to find the gang so that he can kill them. What I liked about the book was the theme that God is with us, no matter how terrible the situation we may find ourselves in. The older man who had also lost members of his family kept trying to point them to God for strength, and for the ability to forgive and re-build their lives. What I disliked about the book was the total grimness of the story-line from beginning to end. I’ve read plenty of books with sadness and depressing themes, but those books usually mixed in some happiness and lighter portions to balance it out. It’s called “comic relief”, and theatrical performances as well as movies and books use it to give the audience a break from the constant negativity. “Jordan’s Crossing” was just depressing from beginning to end. Although I finished the book, it would probably not be one I would recommend. There have always been radicals, people that challenge our assumptions and implore us to think more deeply about issues. It was no different centuries ago. Back in the 1500s, the average person in Germany was taught – and believed – that to have their sins forgiven, they needed to make a financial contribution to the church. The established church was the middle man that stood between God and man, collecting the payments, then doling out forgiveness of sins. A young monk named Martin Luther was very troubled about this. He had a choice: to keep his convictions to himself or reveal the truth. In 1517, he wrote a 95-point letter and nailed it to the church door. In his letter/thesis, he pointed out that the Bible said anyone could confess directly to God, and have their sins forgiven. There was no need for a middle man, or payments, as Jesus had already paid for our sins. Many other erroneous teachings were covered in his letter as well. This was a hugely radical thing to say in the 1500s, when the church was regarded as the voice of God. Needless to say, this did not go over well with the established church. Martin was declared to be a heretic and an outlaw, and permission was given for anyone to kill him without prosecution. He was forced into hiding, but during that time he translated the Bible from the original Hebrew and Greek into common German so that everyone could read it, not just the highly-educated. If you are considering being a radical, be one like Martin, a man who loved God and those around him enough to speak the truth, and speak it the rest of his life. The year is 1948. The war is over, but for German cousins Erich and Katarina, life has not returned to normal. Berlin is bombed-out, neighbors and relatives have died, and the food supply to the city has been cut off. They go looking for food to help feed their families, but get caught. Erich hates the Russians for oppressing them and blocking food trucks, and he hates the Americans because he believes they killed his father. But when he meets an American photographer, his feelings toward Americans slowly begin to change. Although this is fiction, the book is based on an American pilot/ photographer, Gail Halverson, who participated in the Berlin Airlift. American pilots dropped crates of food supplies into the city of Berlin for the starving residents. Hungry children lined up against the airstrip fence, and Halverson passed his candy and gum rations through the fence to them. He decided to carry it further, and began dropping small bags of candy from the plane, attached to handkerchief parachutes. Word spread, and folks back in the US started collecting gum and candy for the children of Berlin. Other pilots joined the effort, and over 23 tons of candy were dropped by the “Rosinenbombers”, or candy bombers. It didn’t solve every problem for the German families in Berlin, but it showed that the people they viewed as enemies could also be kind-hearted. Although the book is geared toward kids 4th grade and up, people of any age can enjoy this story. It is the first book in “The Wall” trilogy. I waited a long time to get a copy of this novel at my local library. It seemed that everyone and his brother was trying to read it. After all, it had been on the New York Times best-sellers list for over a year, and had won the 2015 Pulitzer Prize for fiction as well as the 2015 Andrew Carnegie Medal For Excellence In Fiction. The story spans from 1934 to 1974, following the lives of Werner and Marie-Laure from childhood to adulthood. Marie-Laure is the only child of a widowed master locksmith at the Museum of Natural History in Paris. She becomes blind at a young age, and her father builds her a model of their French village so that she can “see” it with her fingers. She learns to maneuver around town because she has memorized everything from the model. Werner is a poor German boy being raised, along with his sister, in a charity house. He has a brilliant mind, and teaches himself all about radio technology. At 16 he is forced to join the Hitler Youth. When his superiors find out how great he is at understanding and repairing radios, they put him in a special unit that seeks out and confiscates them. It is supposed to be an honor to be in this special division, but he and his bunk-mate Frederick dislike the increasing brutality they see. There seems to be no way to get out; they are reluctant participants in a war neither one of them wants to be in. The book oscillates back and forth from Marie-Laure to Werner, and back again. Each one has a part to play in the war, but they are on opposite sides. They are enemies, yet when they finally meet (more than 400 pages into the book) they are not enemies. 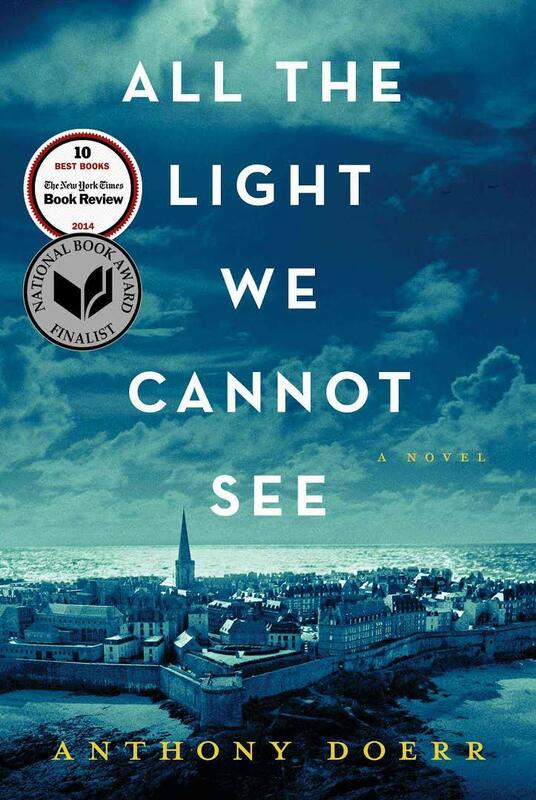 “All The Light We Cannot See” is a well-written story with a minimal amount of wartime horror spelled out. Still, it conveys the fear and uncertainty and darkness that most people felt during that time in history. Even those who survived physically carried the emotional scars the rest of their lives. A stillness in the room. Out there in the trees beyond Frederick’s window hangs an alien light. It was hard to live through the early 1940s in France and not have the war be the center from which the rest of your life spiraled. Marie-Laure still cannot wear shoes that are too large, or smell a boiled turnip, without experiencing revulsion. Neither can she listen to lists of names. Soccer team rosters, citations at the end of journals, introductions at faculty meetings – always they seem to her some vestige of the prison lists that never contained her father’s name. 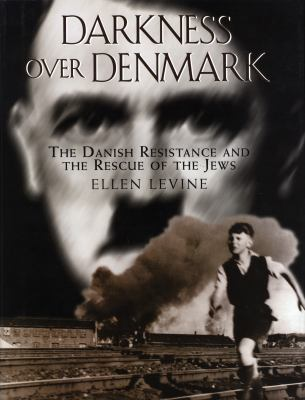 If there was a bright spot in World War II, it was Denmark’s battle to save their 7,800 Jewish neighbors from extermination. Germany invaded the small country in 1940 because they needed the meat and other food Denmark produced. King Christian X and the Danish leaders made it very clear to their captors that there was no “Jewish problem” in their country, and they expected their people to be left alone. For several years, the Danes pretended to cooperate, while building up a good resistance movement. In 1943 a German diplomat leaked the news that the Nazis would be rounding up all the Jews and moving them to Theresienstadt, a concentration camp, in just a couple days. The entire country went into rescue mode, and managed to shuttle almost all their Jewish citizens to Sweden, which agreed to take them in. The story is told using the testimony of Danes who witnessed those years. The book is relatively short – 152 pages – which is enough to give you a good account of what happened without making you read forever and a day. The author did not include graphic or gory details, therefore it is suitable for reading by almost all ages. It’s an excellent book with which to introduce people to not only the ugliness of war, but the heroic efforts of many. Within days of the occupation, King Christian resumed his morning horseback ride through the streets of Copenhagen. He ignored German soldiers when they saluted him, but responded to the greetings of Danes. The king rode alone, to the surprise of the Germans, who always saw their Fuhrer protected by security guards. “Who guards the king?” they asked the Danes. “We all do,” was the answer.